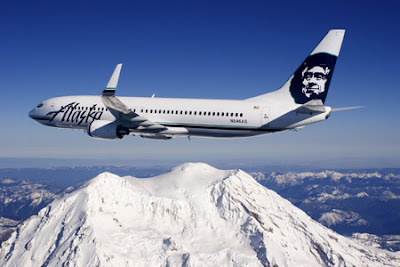 Alaska Airlines If seats in business class aren't booked upon check-in, they'll offer them to economy passengers from $50 extra. AirTran, America West, Spirit & Sun Country Like Air Transat, these US discount airlines offer relatively low prices for upgrades, from $25, but based on this chart, I'm not sure the upgrades are worth it. Hawaiian Airlines If seats are available in Business Class, Hawaiian has been known to upgrade economy passengers for $250 each way. If you book a base economy fare of $170 from SEA - OGG + $250 upgrade, this is still cheaper than buying a full-fare business class seat for $650. US Airways Finally, a airline who gets it! If you're flying economy and have the option to upgrade for a reasonable amount, WHY NOT? It seems US Airways has tapped into this culture with GoUpgrades, a program which allows passengers the option to upgrade their seats 24 hours before the flight, based on availability. And, it costs as little $50 depending on the duration of your flight. To ensure you get 'out of the gate' first and have the best chance of an upgrade upgrade online or via phone (800) 428-4322, remember to contact within them 24 hours of your flight departure. Virgin America Virgin's first class is epic yet costly, but sipping bubbly in first could be within your reach. Take advantage of Virgin's same-day upgrade pricing 6 hours before your transcontinental flight try and snag a $270 upgrade online or . Know of any other airlines with cheap upgrade options? If so, let me know and I'll continue to expand this post. Older PostFlight Attendants or Safety Attendants?